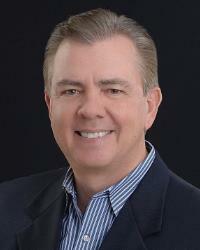 Tony is a founding member of the Mangus Realty Group office in Boerne, Texas. He specializes in Residential, Commercial, 1031 Exchanges and Landlord Representation, Tenant Representation. Tony is a Member of the BKCEDC (Boerne Kendall County Economic Development Corporation and the Boerne Area Chamber of Commerce. He has years of Texas Real Estate experience. Tony has acquired the knowledge, the market expertise and the experience to help both buyers and sellers make informed decisions about their real estate matters. Having been a Resident of Fair Oaks Ranch Community for over 20 years, He knows the area of Both Fair Oaks Ranch and Boerne and Has raised his Three Sons in the Boerne School District, who all three now have attended Texas Tech University. Tony is committed to integrity, honesty, professionalism and skill, following a strict Code of Ethics within the Real Estate Community.